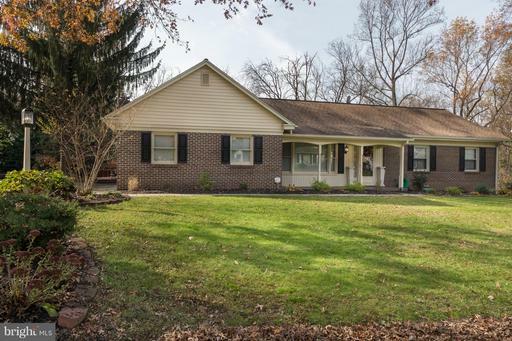 Gorgeous rancher in Hempfield with 3 bedrooms on main floor and 2 more bedrooms in the daylight finished basement. This home has 2 family rooms, one on each level, and each has a fireplace. Kitchen has granite countertops and a tile backsplash. Beautiful hardwood floors in kitchen, living room and dining room. Master bath has a soaking tub and a full bathroom in basement. Home has new flooring in the lower level. Home has been freshly painted. Relax on the deck or screened-in porch overlooking a beautiful backyard. This home is a must see. Centerville El School Elementary School / Public 7 0.85 mi. Centerville Middle School Middle School / Public 7 0.94 mi. Hempfield Senior High School High School / Public 8 1.48 mi. Landisville Intrmd Center * Elementary School / Public 6 1.13 mi. Landisville Pri Center * Elementary School / Public 7 1.33 mi. Landisville Middle School * Middle School / Public 6 1.17 mi. 1120 Mill Mar Road, Lancaster, PA 17601 is a 5 bedroom, 2.5 bath single family home was sold for $305,000 by Phyllis Rothweiler in the Lancaster real estate office.